On most social media networks, there are rules of etiquette and methods for reaching people that are considered pretty standard. One of the more popular ways of reaching out to larger audiences is the hashtag. 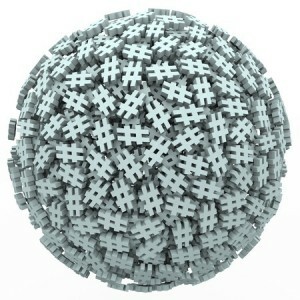 Simply put, hashtags are used to convey ideas, topics or thoughts by linking them to specific posts, tweets or blurbs. Originally started on Twitter, the hashtag has spread to virtually every social media network out there. There are a number of ways in which brands and individuals can use hashtags to increase exposure: we’ll let you in on the ways people are using them to get attention for themselves and their ideas. Whether you’re a brand, activist or everyday social media user, it’s important to know that every hashtag starts somewhere. Popularity (and perhaps advertising) determine whether or not hashtags take off and go viral, but there is nothing stopping you or your brand from coining original hashtags and promoting ideas with them. By pinging servers with one or more hashtags on a consistent basis, you can convey a sentiment to your audience in the hopes that they’ll feel inspired enough to do the same. No matter which network you’re on or when you’re using it, there are always trending hashtags and topics to discuss. If your brand wishes to gain some attention for itself quickly, then there is arguably no better way than piggybacking off of the success of other hashtags. If you can drum up a tweet or blurb to share that relates to a trending topic, simply include the relevant hashtag(s) and gain access to a new audience immediately. While some topics may be out of bounds for businesses not wishing to wade into controversy, there are plenty of opportunities like this on a daily basis to consider. Every social media network is different, but with hashtags, there is generally one rule: don’t spam hashtags. Ultimately, the spamming of hashtags will make people ignore what it is you’re saying, as they can clearly see that you’ve added 5, 10 or even dozens of hashtags to one message. With Twitter specifically, it has been reported that they nerf the visibility of tweets that contain more than two hashtags. You’ll want to keep this in mind when pinging servers with posts and messages; keep it simple and relevant. When drumming up your own hashtag ideas, it’s important to remember that shorter is better. At the same time, making your hashtag witty, clever or including some sort of double entendre will make it more likely to resonate with a larger audience. Generally, hashtags shouldn’t exceed four words. Hashtags that feel like an entire sentence to readers are less likely to adhere to the rule of cleverness, and therefore less likely to gain in popularity as more people see it. Ultimately, hashtags that are straight to the point tend to perform better than long-winded rambles. Who knew? While hashtags may have started on Twitter, they have become a powerful force across many social media networks. How often do you use hashtags, and if you’ve ever come up with any on your own, how popular were they? Let us know your #HashtagThoughts in the comments below and share with our audience any other tips you think may help.